Author: Christa König. Series edited by: M. Lionel Bender †, Franz Rottland †, Norbert Cyffer. 18 pp. Roman, 626 pp. 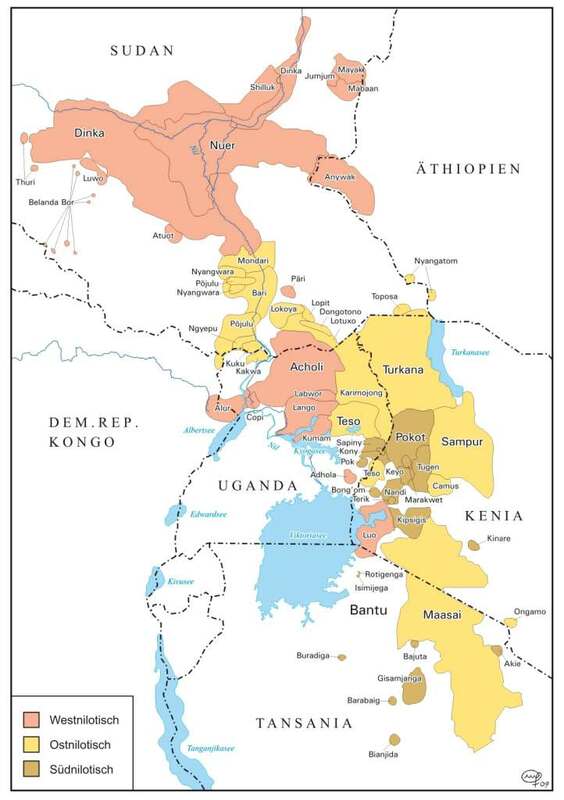 Ik is a Kuliak language, spoken in north eastern Uganda. According to African standards, Ik has an elaborated case system: seven cases are distinguished. In the book a profile of the complex case system is given. From a cross-linguistic perspective case in Ik shows some peculiarities: Most elements in the language are case inflected, such as nouns, verbs, adverbs, conjunctions, prepositions. Among the core-participants, case shows a lot of irregularities. Basically, Ik has an accusative/nominative system, but there are many syntactically conditioned contexts in which the case distinction is neutralized. From a cross-linguistic perspective it is quite common for ergative languages to have split systems. So far accusative systems described in the literature seem to be quite consistent. Ik is an example of a split accusative language. The book deals with case on the noun phrase level, on the syntactic level, and on the discourse level. Latter is based on narrative texts which are appendixed. The encoding of core-participants are treated separately from the encoding of peripheral participants. Some case grammemes, such as the dative, show a wide range of functions. Therefore, grammaticalization is also a further topic. The book is a must for all who are interested in case systems in general, in grammaticalization of case systems, in discourse use of case. The unclear genetic position of the Kuliak languages may also attract readers who are interested in the issue of language classification. Last but not least, all readers who are interested in East African verb-initial languages may also be attracted. The present publication was derived from the habilitation thesis (2000) by the author at Goethe University, Frankfurt/Main, Germany. [...] König has achieved her objectives. In Chapter 3 she manages in a convincing way to bring order into a very basic, but very confusing, part of the grammar of Ik. Thus, the establishment of the five case schemes and the precise identification of their syntactic conditions constitute fundamental new insight into the grammar of Ik. 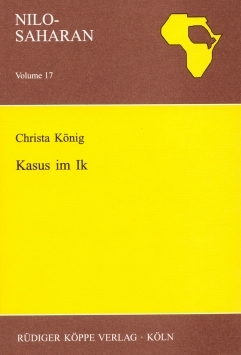 König's identification of the members of the case category in Chapter 2 is another important result, and it is a prerequisite for her results in Chapter 3 [...] The remaining chapters also provide important insight into aspects of the Ik language, and they constitute a rich source of examples of grammaticalization.